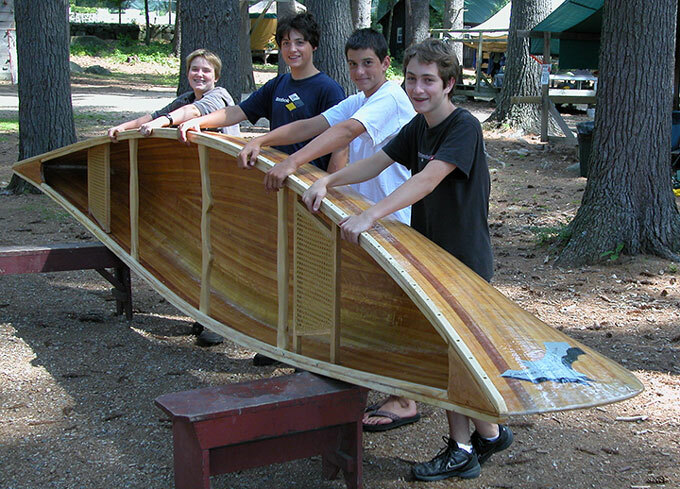 Since 2001, Camp Winona in Bridgton, ME, has offered its 13- to 16-year-old campers a chance to build a canoe each summer. By 2004 they had built four E.M. White 18' trip canoes, which they use in their canoe trip program. This canoe was launched August 1, 2004. The pictured campers are (left to right) Christian Smith, Joe Polivka, Ted Pejeau, and Will Mayner.